It’s January 13 the start of a new year, you are going to take advantage of the discounted membership 6 month or the 12 week challenge at your local gym or training facility to strip off the 20 extra pounds you gained over past several months. You jump in Feet first with out hesitation doing Burpees, Jumping Jacks, Sprints, and dozens of other movements to get you moving towards your goal. Then 10 days into the process all of sudden your start to get this pain in you lower back, your knees start to hurt around you kneecaps, along with several other painful issues that you may have experienced before. So you decide to fight you way through the pain and discomfort only to have the pain intensify until one morning you can’t even walk because of the pain in your joints. So you decide to rest your body for a week, then that week turns into two -three four weeks. Then life happens you get out of rhythm and you don’t return wasting your time money(which some gym count on) and then you are back to square one. Joint pain and discomfort are two of the main factors that prevent people from maintaining an active lifestyle. 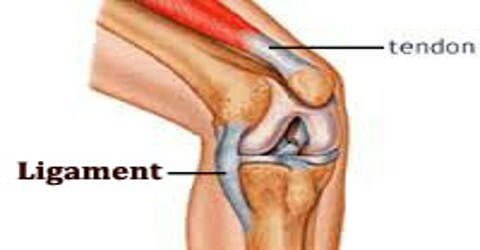 If you are a fairly healthy person you may take for granted the normal function of your joints and ignore the factors that will have a negative effect on your joints if you don’t apply some preventative measures to help you manage the pain and discomfort you may experience while exercising. The is no absolute way to eliminate pain from physical activity especially if you are out of shape due to an old injury, a sedentary career, or any other physical limitation. Just a short anatomy lesson Tendons attach muscles to bone and Ligaments connect bones to each other forming the joint. The two main areas that have major impact on your movement and are typically ignored are your Tendons and Ligaments. These two structures as you know are responsible for your joints movements are expected to function properly without fail. These two structures are the connective tissue of the joint. The Ligaments are responsible to connecting the bone together to form the joints between bones, and Tendons are responsible for connecting the muscles to the bones so that the bones can move. Just a side note, the tendons also have a bundle of nerves that are called Golgi Tendon organs which are responsible for detecting joint movement and position, which is important for protecting the body (especially the muscle) from injury. These three complex joint structures move in multiple directions, which allows for strength imbalances to form due to inactivity which can in turn lead to structural issues and limiting mobility causing pain when the joint is put under stress, or causing the joint to give out during movement due to the response of the Golgi Tendon organ due to being out of shape and having a low fitness level. There is a theory that I believe is correct that states, That is there is a strength imbalance or structural issue in these multi directional joints, the joint in close proximity will suffer also especially if the multidirectional joint are above and/or below the joint, for example the knee is in between the hip and the ankle, also there is the T-Spine or Thoracic joint which is between both shoulders, and the Lower Lumbar and SI Joint or the Sacroiliac joint are between the hip and the shoulders. Overhead Dowel Squats- Assess Shoulder/T-Spine, Hip and mobility, and anterior and posterior strength imbalances in these three joints. The Hurdle Dowel Lunge - Assesses Shoulder flexibility, trunk strength and stability, and ankle strength and Stability. The Dowel Hip Hinge - Assesses Hip mobility and posterior flexibility with the T-Spine in a fixed using the dowel. During the assessment I am able to see slight movement issues that maybe as a result of flawed movement patterns and mobility issues due to an old injury or strength imbalances that may stem from lifestyle issues like a sedentary career. Issues dealing with mobility are usually a result of limited range of motion in the joint which in most cases are due to joint health issues. These issues can be a addressed with a simple mobility plan that can be implemented within the training program. DB Goblet Squat (HIp, knee Extension) and Rubber Band Romanian Deadlifts (Hip Flexion) which focuses on Hip Mobility and Knee and Ankle Stability. The other factor that plays a major part in joint health is Nutrition and Hydration. Tendons and Ligaments are made of a substance called Collagen which is a protein made up of amino-acids: glycine, proline, hydroxyproline, and arginine, all of which help our body's connective tissue, skin, hair, nails, as well as gut health stay as healthy as possible. To maintain the strength and the integrity of your tendons and ligaments you must maintain a proper nutrition plan that is rich in amino acids for repair during recovery, and you you should also place a premium on drinking water to maintain proper hydration levels to keep your tendons and ligaments flexible and durable during stressful high volume movements.